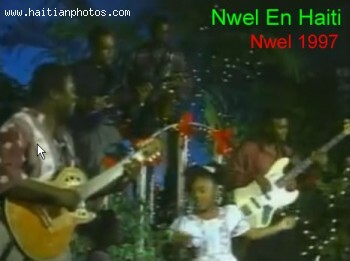 This is a picture of a performance in Haiti during the Christmas season or during Nwel. Like many countries in the world, Christmas is a very important season in Haiti ant it is celebrated by all Haitians. This was actually a contest where this song was among the best performed in the event.